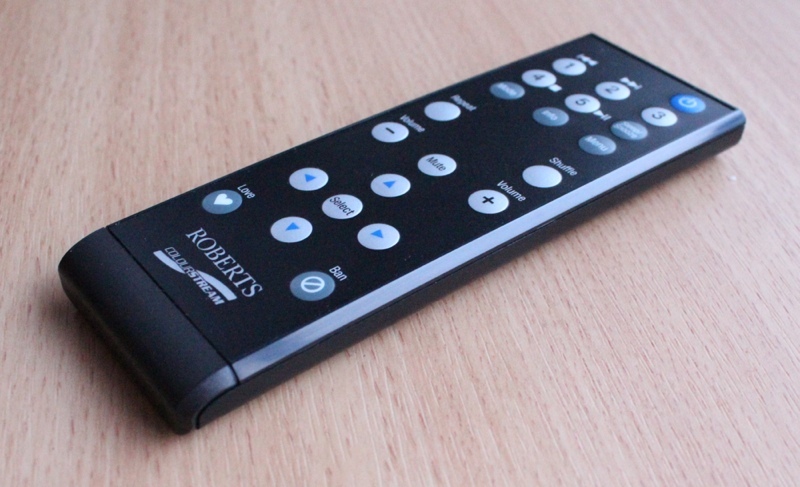 The Roberts colourSTREAM packs a vast array of features, the most notable, is the inbuilt front colour touch display. Roberts have dubbed this speaker as being the next generation of the radio. Is it? Keep reading. Starting off with the design. The exterior rectangular glossy matte plastic casing is very solid. The front differs from the gloss look and uses more matte plastics where the touch screen sits, with a speaker either side. The overall look of the unit isn't as elegant as some speakers we've covered, but the attention in design that has been made, shouldn't be swiftly ignored. This looks good in a living room environment, in fact the rectangular shape makes it ideal to sit on a shelf. Upon first booting the colourSTREAM, a setup wizard will guide you through a few basic steps. One them, connecting to the Internet. I found connecting to a wireless access point beautifully simple. Select it from the list of connections found, enter WEP key via the onscreen keyboard and you're all done. The connection has never once dropped out and the range is good. After I was all setup an iOS reminiscent UI flaunted itself at me. The icon/ App based interface works surprisingly well via the restive touchscreen, whereas iOS devices use capacitive. The UI quickly guides the user from feature to feature. But then there are lists within most of the App features to deal with and I had to resist throwing the speaker out of the window, while trying to scroll through them. Say you want to find a specific DAB station or one of the 10,000+ Internet radio stations ready to play in an instant. You'll have specific filters like country, town and genre, to narrow down the results. But a list of Internet radio stations within somewhere like New York, will take a good few minutes to scroll and properly read each one. This is because a dramatic amount of lag occurs when scrolling and the screen isn't large enough to display a good number of results. It's easy to search for something but then you have to know exactly what you're looking for. Discoverability is therefor hindered, kind of defeating the point of the vast choice. I persevered and found a great batch of Internet stations broadcasting scattered throughout the world, that I can favourite within the UI. Each plays instantly but quality is dependant on the station broadcasting. The colossal amount of Internet radio stations is more significant to me than the traditional FM or DAB radio. Speaking of DAB (Digital Audio Broadcasting). The technology is the best implementation I've yet seen. Crystal clear audio is produced in comparison to FM. Nearly all mainstream radio stations nowadays broadcast over DAB in the UK. Of course another advantage is the opportunity to listen to slightly more obscure offerings which you wouldn't get over FM. Also on offer is a 30 day free LastFM trial. I'm not a user but I know many enjoy the vast selection of music offered from it. iPod and iPhone functionality only works via the inbuilt 30 pin dock connector, so unfortunately no AirPlay support has been added. Other non Apple devices can use the inbuilt auxiliary input, located on the rear of the speaker. Not so great, as your device isn't so accessible and it won't benefit from charging. Another method of audio playback is to use the USB port located underneath a door on the front or connect to a media server via Wi-Fi. Using an iPod or iPhone offers the greatest amount of functionality. You can play audio via any downloaded App on iOS devices. Also track information and track length is all displayed, but audio quality actually sounds better than from other devices too. Controlling either an iPhone or iPod can be done via the touch screen, device itself or remote control. For basic track skipping, pausing/ playing and adjusting volume, it's best done via the remote. But if you want a specific track, album or artist, you're going to have to get up and use the iPod or iPhone. The audio output produced from the 2 x 15 watt speakers is too pleasant and soft, lacking in bass and depth by default. EQ adjustments greatly helps with this, but every different genre of music, seems to require a different EQ to perfect audio performance. So forget all the general EQ settings for genres of music and go straight to custom. This allows very fine adjustment, that required a small amount of time to perfect. But the fact that every new owner of this speaker will be underwhelmed by the initial performance is a great shame. Overseeing this niggle, audio performance when custom adjusted is good. The stereo separation is very defined and volume levels can be raised to near max, with zero distortion. I have the colourSTREAM set up within my largish living room and it fills it easily with sound. Treble under performs on occasion, especially with busy music but generally is a good performer in those mid-highs. The most notable amount of effort has been put into vocal performance. A sharp, precise and colourful amount of detail is released in vocal audio output. Radio Plays come to life with the colourSTREAM and radio presenters sound startlingly clea. It's definitely this speakers killer feature and will appeal to frequent radio listeners. 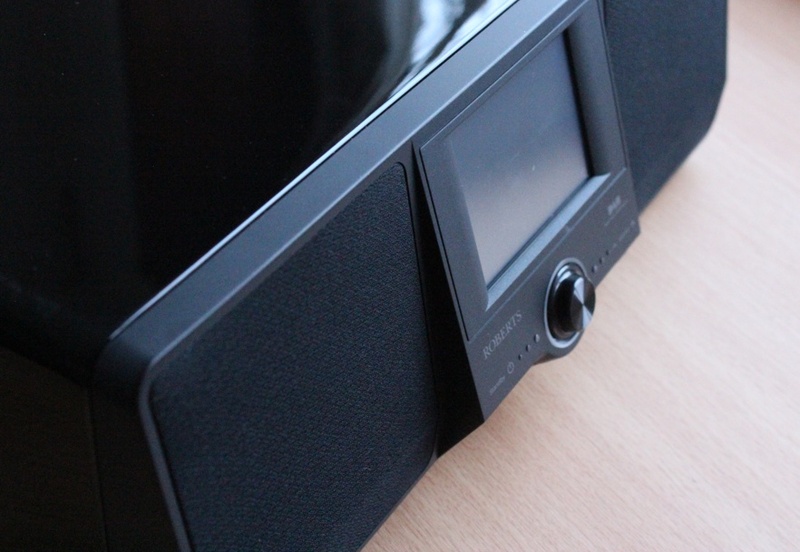 Overall the Roberts colourSTREAM Speaker is a good product. Audio quality once adjusted is acceptable and the DAB, Internet radio and Last FM integration could be very persuading to radio lovers. However the touch screen and UI can let themselves down, in regard to content discoverability.